Ever wish you were one of those people who could take a bunch of old pallets, a broken chair and then make something amazing out of it? Well if you do, chances are you grew up watching the A-Team! But in all seriousness, many of us could do a little more when it comes to recycling. Not just to give mother nature a helping hand, but also to put stuff that we once thought was broken or useless to better use. Just down below we have some of the best recycling blogs that are online. These blogs will help you put all those tools you have in your shed to great use and give you some top tips and great ideas. The Woolly Pedlar sounds like someone who would have fought Batman in the old 1966 TV series, but in actual fact this is a tremendous recycling blog from the creative mind of Sue Reed. Back in the 1920’s, she was inspired by her great aunt to learn to sew and with this new skill she made all kinds of fun things when she was a kid like felt animals and other things she could actually play with. She has kept this creative spark into her adult life and now she takes old pieces of clothing and makes them new and exciting. Based in Northumberland, she specialises in jumpers (as it is cold there pretty much ¾ of the year!) and the way she takes these old pieces that most people would throw in the trash and makes them new is just incredible. She gives you all kinds of tips and in general her blog is very inspiring. Tracey’s Green Mums Blog is perfect if you are a parent who wants more for your kids than then just hitting A to make Sonic The Hedgehog run faster! Her blog is really cool and features many stories about how her family likes to get outdoors and do fun things together as a family all the while taking in nature and not spending a fortune to do so. Bike rides, camping and good ol’ fashioned walks are some of the highlights. Tracy has a ton of great ideas and tips for how you can be a bit more “green” but what we really love about her blog is the way that she encourages you to share these activities with your family. 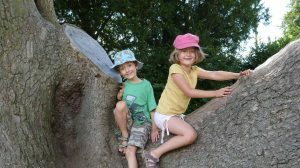 If you want some ideas on how to get the whole family involved in taking better care of the environment and getting out and about so you can enjoy the outdoors, then you will get a lot out of this blog. Next up we have the awesome, Vicky Myers Creations. Vicky is a blogger who has a real sense of style and just because you are trying to live a more green lifestyle does not mean you cannot look cool! This is a really fun blog and we love how Vicky even gets her family on board with this. There is a great section where her and the kids make some cool animal keychains out of old keys. Nothing is off limits for Vicky as he has even managed to make something interesting out of old crisp packets. 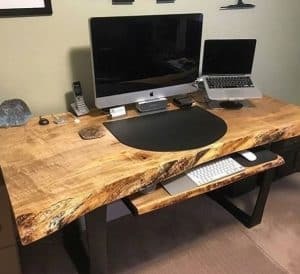 If you are the kind of person who wants to make some more interesting and useful items out of old junk you have round the house, then you will get some very nice inspiration here and also a few chuckles as there is a lot of humour here. 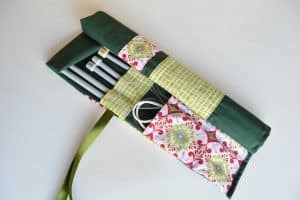 All of the projects that Vicky has on her sites ranging from simple things like pencil cases to phone cases have full instructions so you can give it a go yourself. This is a blog that is based out of Manchester and it does a fantastic job in educating you about how much waste you produce. Hey we are not pointing fingers. Many of us in the WhatShed office realised that we wasted more than our fair share of food and did not exactly do our best when it comes to recycling. Well that is what this blog is all about. The Emerge’s Recycling Blog is not one of these holier than thou preachy recycling blogs, so do not worry. It is instead broken down into many different posts. Each one giving you a little something to think about as well as offering tips on how you can recycle better and stop wasting not just food, but other stuff that can be upcycled. 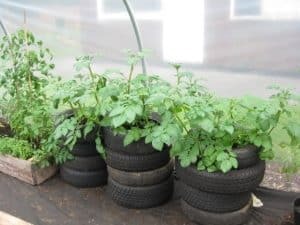 If you want to be a bit better when it comes to recycling, but just need that little bit of inspiration then this is a blog you have to check out. 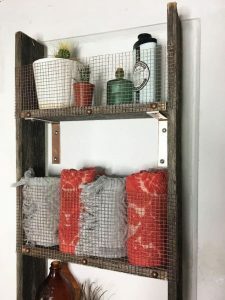 Evie Milo is a fantastic upcycler who shares her passion with taking things that most people deem old, broken and landfill destined into something cool and new. Her blog is very charming and she is quite the artist. We love how she tells you her reasons for wanting to take old things and make them fun and unique. One of the things that we think is really fun about Milomade is the way that nothing at all seems off limits for Evie. 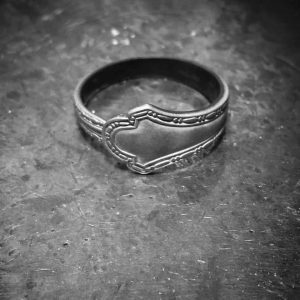 The fantastic rings she has managed to make from old silver spoons will make you regret chucking all those spoons in the garbage with the yogurt pot. 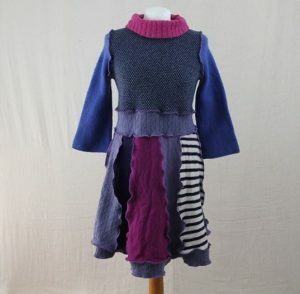 It is not just things out of metal and wood that Evie makes, even clothes are upcycled on her blog. Evie is one of the most creative bloggers we have seen in quite some time. 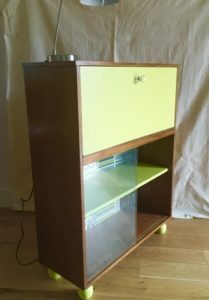 No doubt many of you have looked at an old piece of furniture and before you throw it out think to yourself that you could do something cool with it to give it a new lease on life. Well that is what BowieBelle Vintage and Upcycled Furniture from Teresa is all about. Teresa gives you all the hints and tips you will ever need to take that old beat up piece of furniture you have or even something neat in a second hand store and make that item look amazing. If you really want to give upcycling a try and just do not know where to start, then this blog is perfect for you. As well as offering hints and tips, she also has a ton of her own projects on here that will inspire you to do your own… or you could even just copy hers. This is no doubt a question many of your recycling enthusiasts (is that even a thing?) will have asked yourself before throwing something in the garbage. This is a blog that was brought to life by Louisa Parry and John Leach who after a night eating pistachio nuts asked themselves what could they do with the cases? Well this simple question led to them coming up with all kinds of fun and interesting ways to upcycle and recycle stuff that was in their house. What we love about this blog though is the community it has spawned. They really encourage that the members of the blog ask as many questions as they can and offer their own hints and tips. So no matter how crazy your thought is – be it what can I do with this old Wham CD? My Blackburn Rovers shirt from 1989? My collection of Barbie heads with the hair cut off? – you will find some ideas here. Upcycling is the term used by the cool kids when it comes to taking some old junk and making something new and useful out of it. That is what Upcycle That is all about. Jacques and Judy are the masters of this blog and they really have made a fun and informative site. Glass, metal, plastic and many other materials are what they have used to make some new and useful items for their home. We love how they give simple to follow instructions so that even people who are pretty basic when it comes to DIY and art will be able to give it ago. As well as having many posts about things you can make and things you can do, Upcycle That go that extra mile by telling you why they do the things they do. How things like plastic take an age to decompose and how it is damaging the planet! It is pretty heavy stuff really, but they do it in a way that actually inspires you to recycle more, so we give them a thumbs up for that. We were as surprised as you are to find out that the Salvage Sister was not a 80’s electronic pop icon. But she is actually a little bit famous. You see, Charis has actually appeared on Fill Your House For Free. 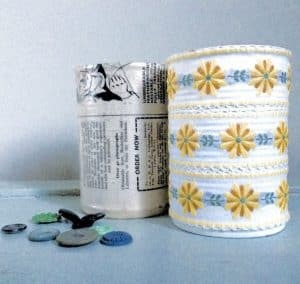 What we love about Salvage Sister is the way that while there are some truly fantastic ideas on this site, Charis also gives you tips on how to get all these items you can upcycle. From skip diving, bartering and many other ways, she is full of fun tips and tricks to make sure you can get a good stockpile of supplies without spending any money. One thing that we really liked about Salvage Sister was the use of pallets. She has made a few cool things with these and she even gives you easy to follow step by step instructions. 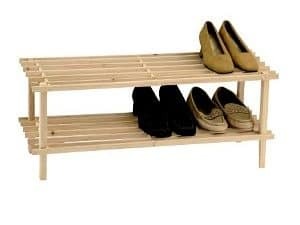 If you want to spruce up your house without spending a lot of money, then Salvage Sister will help you with that. Now here is a blog that is special! Jen started this blog when she made the brave and some people might say crazy decision to not buy anything new for a year. 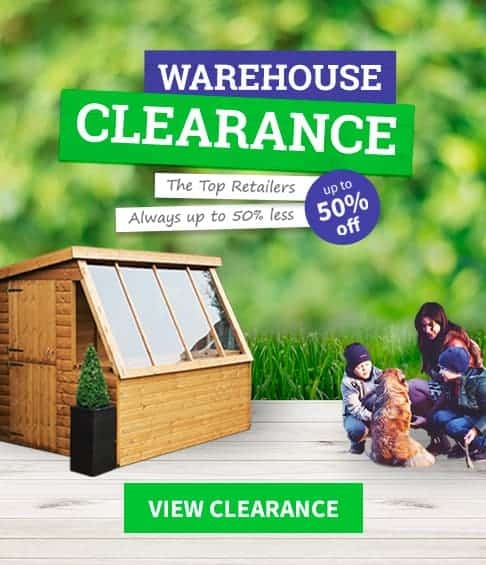 We have people in the WhatShed office who cannot go more than five minutes without buying something, so we know how tough this is. The blog is a fantastic journey and you get to read all the struggles, but also all the cool things Jen and her family came up with. From homemade tablets for your dishwasher to ways to repair old clothes that you love, but do not want to throw out, Jen has a million ways for you to live a self sustainable lifestyle which will help your bank balance as well as do your bit for the environment. Jen does not just show you what she does and what she has done, she gives you the mental tools you need to do it yourself.